Architectural installations are adopting the BACnet building management protocol, using the protocol for integration of HVAC, shutters, A/V systems – and lighting. 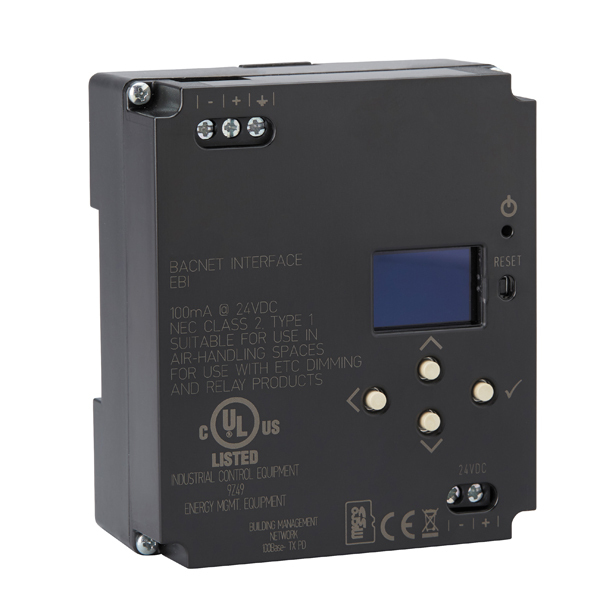 The Elaho BACnet interface provides a simple-to-implement interface for Elaho control systems to integrate with a BACnet IP-capable system. With the BACnet Interface, Elaho systems can receive lighting commands, share occupancy and system status, and more. The Elaho BACnet interface provides status for all Elaho control points. Control commands can also be sent to the Elaho system for building wide overrides and control, including presets, or placing a space into a timed event hold.